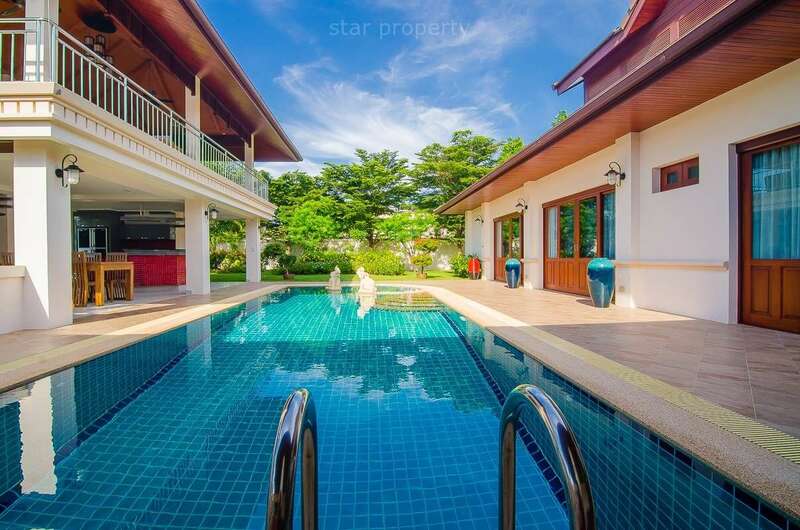 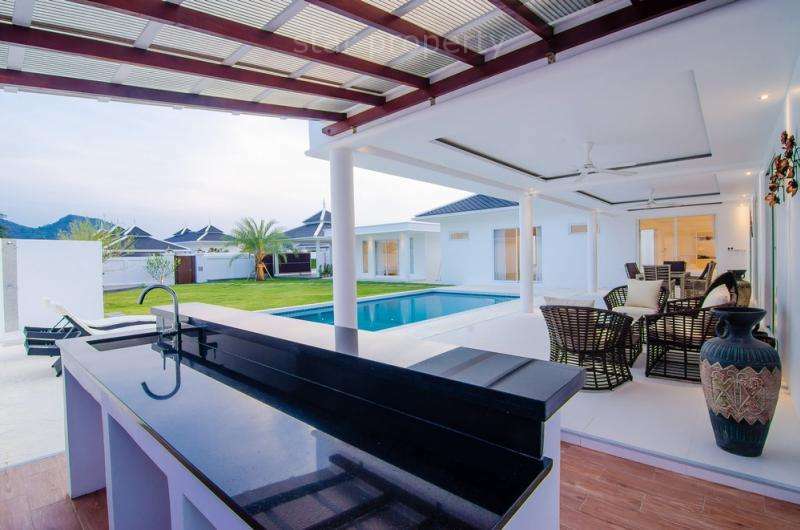 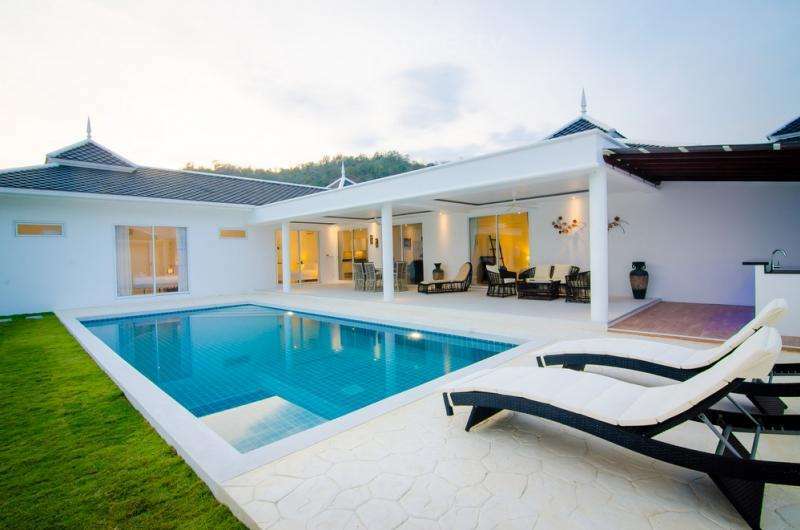 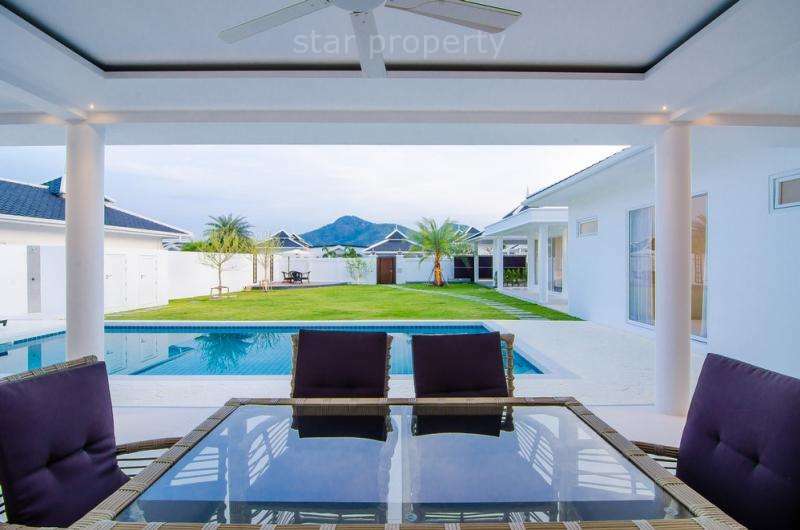 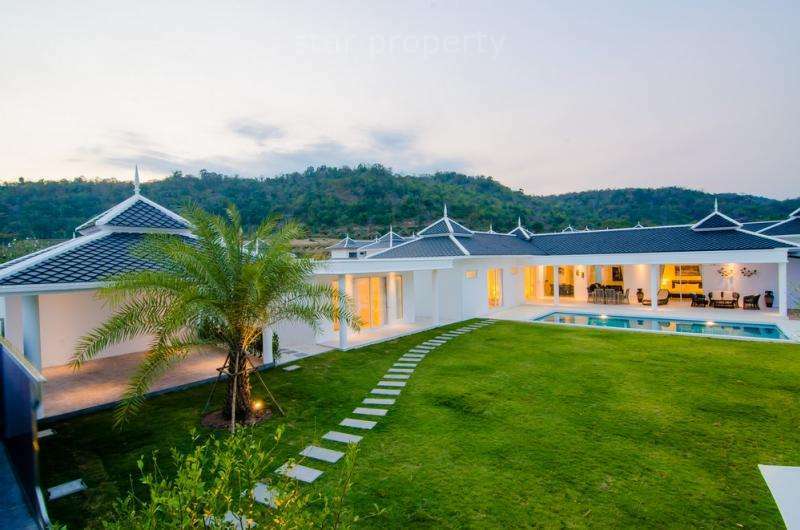 Spacious, modern pool villa on the excellent Falcon Hill project a short drive from the center of Hua Hin. 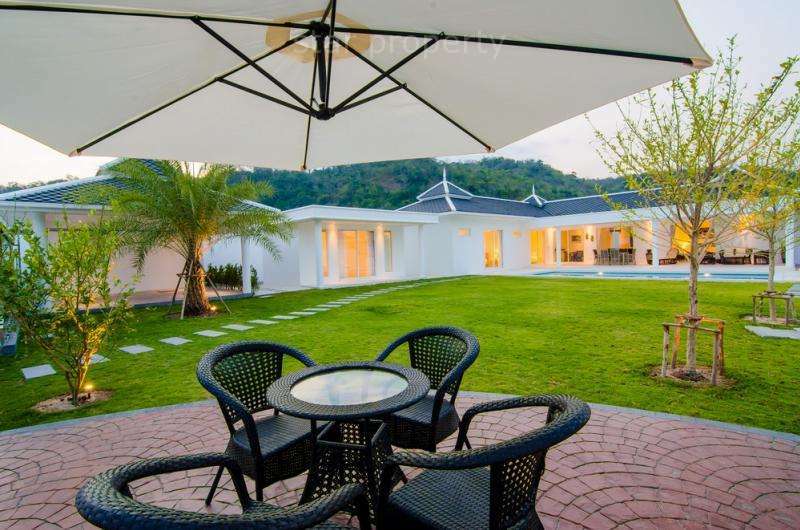 High quality construction and excellent design. 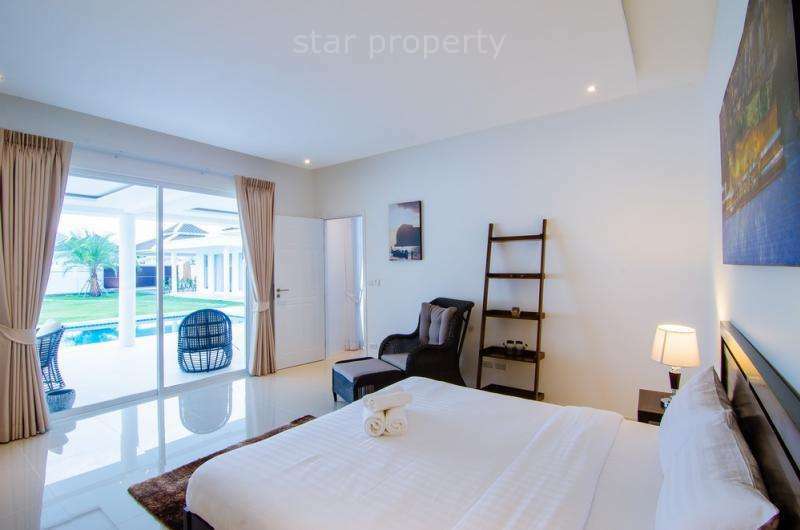 4 good sized bedrooms, moder open plan living / dining / kitchen area and wonderful swimming pool, terrace and garden. 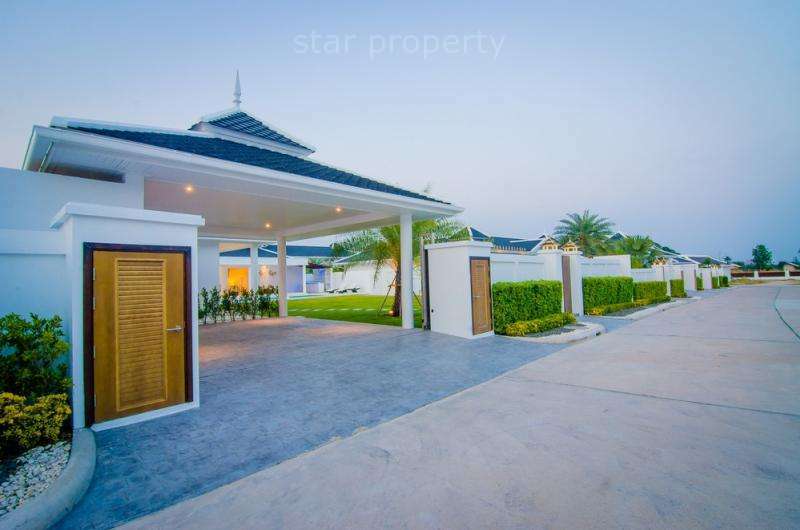 Plus covered car port for 2 cars. 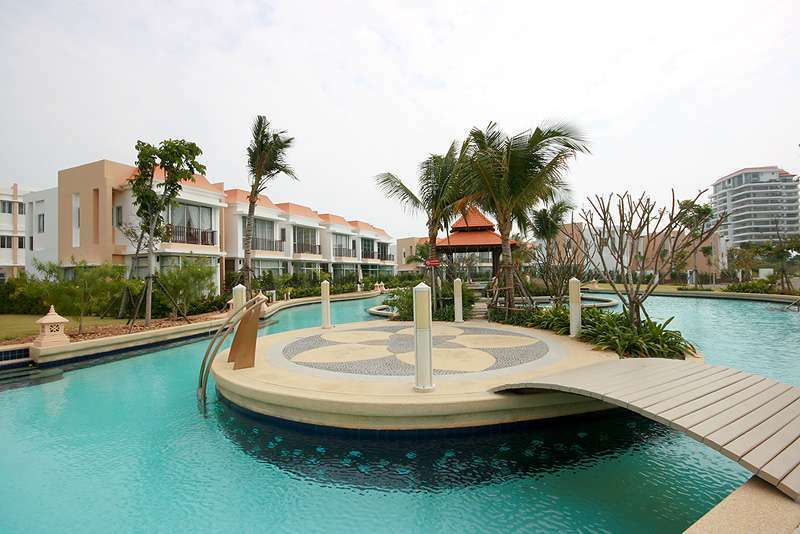 Falcon Hill is a new housing development very close to the center of Hua Hin. 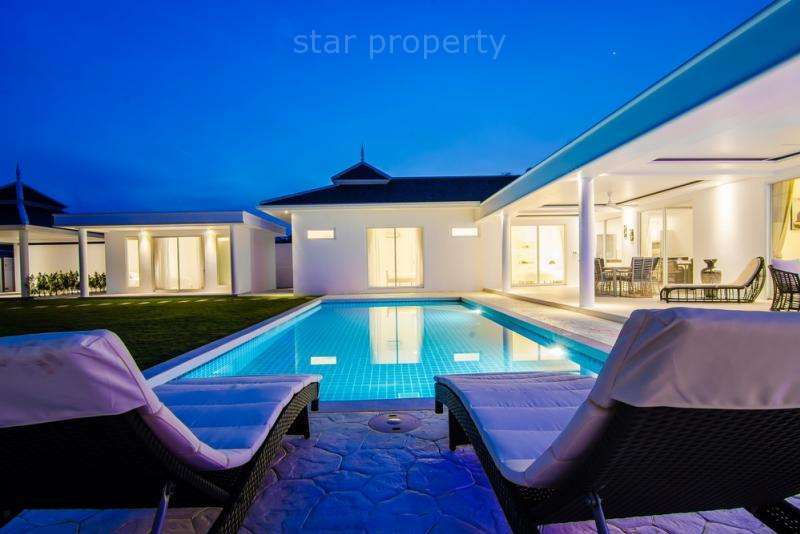 Under European management, villas are designed, built and finished to an excellent standard. 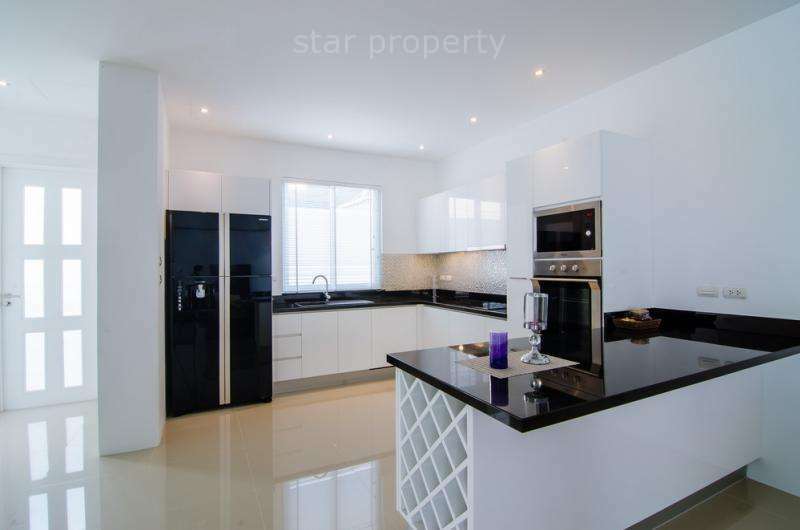 The project is well maintained with coherent layout and good internal roads. 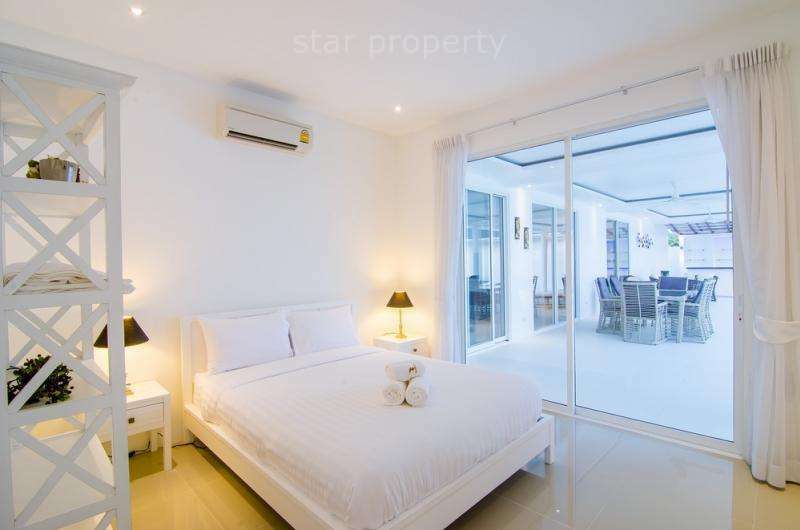 And the location is ideal, close to the amenities and attractions of Hua Hin.